← Your Family Name – following the mother or the father? When I go on holiday, I want to be able to share a room and a bed with my partner; whether we are married or not should be of no consequence. In last week’s news, I read a story of a thirteen room bed and breakfast establishment in Wales that has removed all double beds in order to get round an Equality and Human Rights Commission comment about it being illegal not to allow unmarried or gay couples to share a bed. This issue has arisen before when in 2008 Peter and Hazelmary Bull, a Christian couple in Cornwall, refused to allow a gay couple to share a bed in their guest house. This led to a successful prosecution under the Equality Legislation and a subsequent ruling by the Supreme Court last November stating that their decision was sexually discriminatory. On the surface this may seem like an easy judgement to make, but when one person (or group’s) rights conflicts with another’s, it is usually more complex than first it appears. 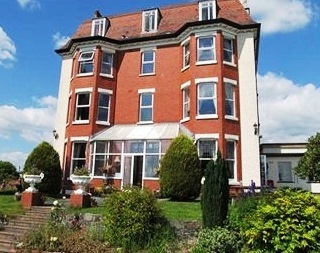 In this second case, should Sue and Jeff Green, of the Highland Moor Guesthouse in Llandrindod, have the right to determine what goes on (or doesn’t) in their guest house? They claim their traditional Christian values are undermined by equality legislation and the demand made by the EHRC, suggesting that the ruling compromises the way they want to raise their children. As it happens, it is irrelevant whether or not we agree with their position, for as soon as they opened the guest house they were bound by the Equality Act 2010, as were the Bulls in the previous case. The Green’s response to the ruling was to remove the double beds from their establishment – a creative, and it appears, successful compromise. In our work places we find that disagreements and conflicts arise far too often and usually as a result of two people thinking their position is right. Do managers have the skills to help them find the middle ground solution, which may demand a little creativity, thinking ‘outside of the box’, and individual give and take – Sue and Jeff Green showed this is possible. It helps if the protagonists try to see the position of the other people in the conflict and come back from the polarised positions they find themselves in. This entry was posted in beyond diversity, Equality Act, Sexuality equality and tagged cultural difference, discrimination, gay rights, inequality, Religious rights, sexuality. Bookmark the permalink. Freedom of religion should not mean freedom to impose one’s religious beliefs on others. I agree Marc. However, I am aware of the conflict that is caused by the enactment of legislation that conflicts with religious belief. I fully agree that all service providers, whether in private or public institutions, must be fully “equal” in the delivery of the service and compliant with legislation. No discrimination in practice does not mean I cannot sympathise with their position. Odd response to punish the “straight” customer because of the possible “sins” of the “gay”. Thanks for your interesting comment, Jim. I’m interested by this idea of punishment – I suspect the only ones who will suffer will be the hoteliers. I do not think I will go a guest house with my partner where no double bed is available and I am sure others will boycott in the same way. I guess their religious integrity will remain strangely intact. Equality legislation does not challenge their right to believe being gay is a sin. However as Christians they are also taught not to judge as that is the domain of God. There seem to me to be several issues in play. Without wishing to enter into a theological debate, the issue for the Bulls (and others) was that it was not just their guest house but also their home. Their discomfort at the thought of having to knowingly entertain a gay couple was what caused their anxiety as it conflicted with their beliefs. The legal point was presumably, whether the fact that they ran a guest house in their home gave them any additional rights in the context of modern equality legislation. The Greens have reacted to what they see as the impossibility reconciling legal compliance with their beliefs by introducing a hurdle. Not however an insurmountable hurdle as often hotels use single beds pushed together as a double and we have done this too, when presented with two singles instead of a double. I would have thought (without any knowledge of the context) that it is a consciously provocative (but legal) response. It may well be small minded or maybe even desperate. However, I suspect that the intent was to deter gay custom so the publicity possibly achieved their aim in the form of a 2014 equivalent to the old B&B signs warning off minorities. So in this I agree with Michael. A further point here is that morality and legislation changes as Patricia Hewitt, Harriet Harman and Jack Dromey have found (re their National Council for Civil Liberty days). It would appear that in the 1970s paedophilia was less of an issue than homosexuality. Matters have of course moved on. It is an interesting thought as to what acceptable thing now, will not be in the future. The complexity for the law and social policy makers is not to minimise the needs one group of people at the expense of supporting another. We have not heard the last of this sexuality vs religious belief debate, as there has, as yet been no acceptable middle ground found. In the interim, it will be best to deal with it on a case by case basis, as and when it arises. Hopefully, more people will find a pragmatic middle ground, free from discrimination, that is acceptable to all parties. It is interesting that they claim this is to defend their rights as Christians. If they are Christians who hold the ten commandments dear, then their work requires them to break the ten commandments. If they believe Jesus’ comments to the effect that the ten commandments were part of the old law, then ‘Love is the fulfilling of the law’. If they are more general than that then one of the highest demands within any of the monotheistic faiths is to offer hospitality to the traveller. I do not think they are defending their faith, but their bigotry.